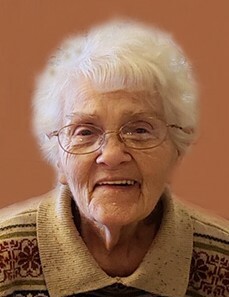 Obituary for Barbara Lee Muse | Esterdahl Mortuary and Crematory, Ltd.
Barbara “Barb” Muse, 85, of Orion, passed away peacefully surrounded by her loving family on Sunday, April 14, 2019. A funeral service will be 10:00 a.m. on Thursday, April 18, 2019 at Kirk, Huggins & Esterdahl Funeral Home, Ltd. 1301 4th Street, Orion. Visitation will be from 4-7 on Wednesday at the funeral home. Burial will be at Western Township Cemetery. In lieu of flowers memorials may be made to the family for a fund to be established. Barb was born on December 20, 1933 in Indianapolis, Indiana the daughter of Robert and Doris Wright. She married Ralph Muse on September 12, 1952 in Indianapolis; he preceded her in death on November 5, 1985. During their lifetime together they enjoyed many things, bluegrass festivals and flea markets and just being together. Barb was a member of the Orion Christian Church where she served as a custodian in giving back to her faith in service. Barb enjoyed working in her garden and sharing its bounty with family and friends. Her fellowship and bible study groups were very meaningful to her because her faith was most important. Grandchildren; Justin, Stephanie, Danny, Brad, Rob, Brady, Alex, Angela, Robert, Joseph and Todd. She was preceded in death by her husband, parents and sister, Janet Barbee. The family would like to extend a special thank you to the caring nurses at University of Iowa Hospitals and Clinics as well as the caring staff at Clarissa C. Cook especially Matt, for his care till Barb’s passing.